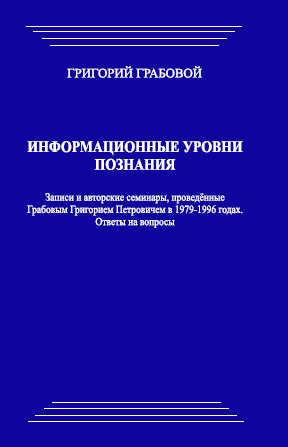 Doctor of Physics and Mathematics academician, author of the discovery of creating information area and original works on forecasting future events, their control, correction and the basics of technologies calculation and designing (devices), the author of the Teachings “On salvation and harmonious development”. Trepashkin M.I. : – I once again thank all those who have come to the press conference. 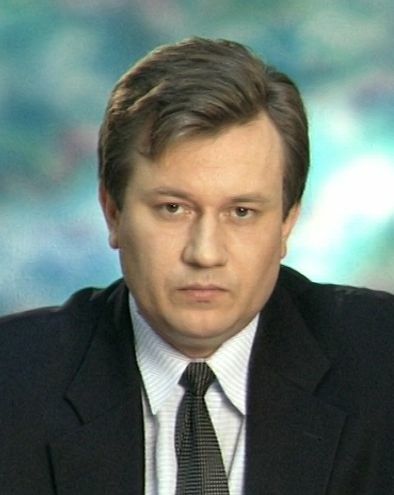 And I would like to inform you that the main reason for this press conference is that on April 11, 2018 the Presidium of the Supreme Court of the Russian Federation abolished 26 decisions on the case of Grigori Petrovich Grabovoi, by which he was detained for a long time, I emphasize again, was held for long time in custody. At first, the European Court found this unjustified, it issued this decision last year, it was a pilot decision, and on the basis of this very decision of the European Court the Presidium of the Supreme Court of the Russian Federation has passed a resolution. I just want to say that they take it purely mechanically, they do not list all the grounds on which the persons were taken into custody, that is, I wanted to say that there was not, in fact, reported that they could hide, run away, and so on. They just (this is the decision of the European Court of Justice) list the same decisions, cancel them and that’s all. This is the decision that was made. So, for now the European Court has singled out only according to the fifth article, that is, this is illegal detention for a long time, the rest is not yet considered. The complaint was a big one and was submitted a very long time ago and according to the sixth article and according to a number of other articles. They singled out only the fifth article so far, they asked to make the statement again, as if in a new form, and on the basis of it they decided. I would like to say that we have one more reason, because in April 2018, from April 2018, Grigori Petrovich Grabovoi is considered to be not convicted, that is, his conviction has been repaid, that is, from now on he is considered as if not convicted. This is another reason why we gathered the press conference. I would like to draw attention to the fact that, for some reason, the media are obsessed with such a biased accusation, with the person’s blackening. It was happening from the very beginning, and now they write that Grigori Petrovich deceived the mothers of Beslan. Since I, as a lawyer in the criminal case, would like to ask to give this information, taking into account the opportunity to present this information, that according to the materials of the criminal case none of the mothers of Beslan was listed as a victim. Moreover, all the publications that say that there were interlocutors who came to Ossetia, there were negotiations and so on, – their surnames are not established, – it’s just someone letting the rumor out, and this is what I call that someone said somewhere, “some granny said somewhere”. And the rumor spread, it did not correspond to reality. And we intend, if such information is disseminated, to sue those who write that the mothers of Beslan were deceived. Because this is a serious question, this slander essentially affects the interests, and even contains a certain threat, that is, spread defamation that does not correspond to reality, which then can turn into not good, so to say, actions of some kind. Now regarding the expressions such as a “sect” and so on. I, too, would like to touch upon this issue, because many people say: “What kind of the Teachings it is?”, and so on. I, as a lawyer, take only the criminal part. I defended the anti-fascists, I was not interested in their particular theory, I defended those persons who were regarded as nationalists by the Russians, I did not particularly consider their teachings either, because I am primarily interested in the criminal law. If a person is accused to what extent does it correspond to … well, whether he actually violated, or did not violate, and if there is lawlessness, or not. Only the criminal part. I can say at once that Grigori Grabovoi was pursued absolutely illegally throughout this time, and the term he was serving is clearly illegal. Illegal. I think that the court of Bereznikovsky, which was considering the petition for grant of parole once, paid attention to this. Because the representatives of the prison were against it. As usually, there was something forged before the person had to submit a petition for grant of parole, that he had a punishment there, they found some object that should have not been kept, and so on. The prosecutor’s office of Bereznikovsky was also against, but nevertheless the judge made a decision that, as they say, that he could have been granted parole and released. The term for the criminal record cancellation is counted from the date of the release on parole. Therefore, it was in April 2010, the deadline is now expiring. They impose here such a point. Why do I say “illegally”, sometimes they also say “all are considered illegal” and so on, and I again rely on the materials of the case, not the way to ascertain the fact, but the rest. If it were not for the sign “organized criminal group”, which was attributed to Grigori Petrovich, even if there were several of these episodes, he would have not been even imprisoned. In an organized group, as is known, there are two or more persons. And now I remember when the issue was being decided in the Supreme Court. I said, “Well, look, all the persons who were, were identified, there were no unidentified persons, all are identified. In all cases, criminal cases have been dismissed for lack of corpus delicti, I emphasize. How can you accuse of the organized group, this sign should be removed. If this sign is removed, he is automatically released and is innocent … And yet, I returned a little bit again to the criminal part. So physicists explain that Grigori Petrovich has risen to some other one, he comprehends some, or has embarked on the path to comprehend the new … as the transmission of information, proceeding even from the publication. I’m not a great specialist, but based on the publication. After all, it has been already established that when a person dies, his weight decreases, that is, the Soul has weight. No one denies this. It has already been established that a thought is material, because even if a person stands at a distance, he feels that someone is looking at him. But after all, the content of this transmission of this information is not yet discovered, and after all it is possible then, if it is revealed, it is possible to influence it in some way. Well, people can talk, as they say, silently. That is, here’s about some of these technologies. And well, many, many such others. For example, why are there some natural phenomena in the spring, and some other are in the fall? Isn’t it the same light that flies from there, is just the code to launch a certain life? We just have to think about this, it’s quite explicable, quite understandable. Why do the Russia Orthodox Church and many others call it a sect and so on? Because it is not profitable for them. It is now proved by science, maybe I will again refer only to the media, that a person, when he prays, his brains are turned off. And mostly those people come to the church who are burdened with some problems, and when he prays, if they say that at this time the brain does not work, that is, there is unloading, he relaxes, that is why they go to church. But you can not abuse this too, because if you turn off too often, people no longer think about science and do not think about comprehending some phenomena. Therefore, they do not want, I understand that first of all the Russia Orthodox Church and others, do not want people to think more about science, about the movement of society forward, about comprehension of the same technologies and so on, so they come up against it. When I watched the broadcasts, when they again came up against him, that there was a sect, there was something else, everything, but nobody said specifically, for some reason… I had more impression that these were more “demons in cassocks” than people who really serve spirituality and so on. Perhaps, that’s all I have. The main information, I will sum up the results again. The first thing is that twenty-six resolutions have been canceled. This indicates that the reverse process has already started, and it proves that Grigori Petrovich was illegally, illegally detained. The second point is this, since April 2018, it is not allowed to write anywhere that he was convicted, he is not convicted. Well, the third question, which is the most important, that the case nowhere includes the mothers of Beslan as victims. Grigori Petrovich had not been to the Caucasus, he did not talk to anyone and promised no one that he would raise the children. These are the questions. The book “Information levels of cognition” is an inexhaustible source of practical knowledge, in which you will find answers to a wide variety of questions. Why can you achieve the absolute control for creation of constructive events only when the compulsory presence of material objects in the world is taken into account: the planet Earth, the physical bodies of people? That is, it is always necessary to work for the realization of the principle of non-dying and for ensuring eternal development of the entire reality, including physical reality. What is the event of the weak information level or the level of weak signals, which to a certain extent correlates the event level of a person? The methods of working with this level from the point of view of normalizing the information taking into account the universal connections are also included. In the book you, will find Practical recommendations on protection from radiation exposure and elimination of consequences of radioactive damage to the organism by means of control through Consciousness. You will learn what such a concept as “a person has grown wings” means from the point of view of information and how to concentrate consciousness so that the creative process would not deplete the strength of man, but became stable and man could always be in the state of creativity. In the section “Informational levels of cognition that do not correspond to the protein environment of perception”, it will become clear how to know the elements and processes occurring in the objects that are considered as non-living forms, for example, for diagnosing equipment, for diagnosing an event level in a spectrum not related to people or to plants. The section “The System of Adaptation of Consciousness to the Changing Dynamic Environment” is about the existence of the “external information framework, that contains various knowledge, including the knowledge on the dynamic structures”. It includes the methodology of accurate cognition, which consists in the fact that it is possible to consider cognition through the system of understanding, and it is possible, knowing the precise geometrical location of the entry points into the information framework relative to the location of internal organs or parts of the human body, to carry out docking with the geometry of the information framework. In the section “The Nature of Some Diseases”, you will learn about the existence of an information framework that exists around human, you will understand its structure and learn the methods that will enable you to monitor future events of man, that will make it possible to prevent the occurrence of serious illnesses and accidents. The book “Information levels of cognition” gives the reader an opportunity to touch the inexhaustible source of practical knowledge of eternal development. The information levels of cognition of reality by man are endless, and the author’s seminars, conducted by Grigori Grabovoi in 1979-1996, included in the book, reveal these huge capabilities of man. The received knowledge protects both the person, and his environment, and it works for the macro-protection of the whole planet. In conversations with the students of the seminars, the author answers many important questions. The reader will learn how to achieve absolute control to create constructive events; what the level of weak signals, correlating the event level of a person, is; how to concentrate consciousness, so that the creative process does not deplete the strength of man; what is the kind of nature of some diseases. The sections of the book contain technologies and methods of work. All information in the new book becomes available to the general public FOR THE FIRST TIME. This treasure will necessarily become a powerful springboard for the next stage of the development of mankind on the path of the Eternal Life of All! Книга Григория Грабового “Информационные уровни познания” предоставляет читателю возможность прикоснуться к неиссякаемому источнику практических знаний вечного развития. Информационные уровни познания реальности человеком бесконечны. Авторские записи и семинары, проведённые Грабовым Григорием Петровичем в 1979-1996 годах, включённые в книгу, раскрывают эти огромные возможности человека. Полученные знания защищают и самого человека, и его окружение, и работают на макрозащиту всей планеты. В беседах со слушателями семинаров автор отвечает на многие важные вопросы. Читатель узнает, как можно добиться абсолютного контроля для создания созидательных событий; что такое уровень слабых сигналов, коррелирующий событийный уровень человека; как нужно концентрировать сознание, чтобы творческий процесс не истощал силы человека; какая природа у некоторых заболеваний. В разделах книги даются технологии и методы работы. The instrumentation of eternal life should take into account the availability of features of the future time in the device functions. And these functions, they can be distributed as the action of the future time into any current event, since any current event with a high instantaneous speed passes into the future, into the next event. It is important to note that these devices must operate by functions eternal time. For example, the number of times of use of device PRK-1U is not limited: each time the next control increases and the next level of abilities develops. And this element of such unrestricted use is instantaneous transition from the current to the future time. Considering this principle of instantaneousness, we can find another source of energy for such devices, for such equipment. An important characteristic of such devices is the systematic action of the device. 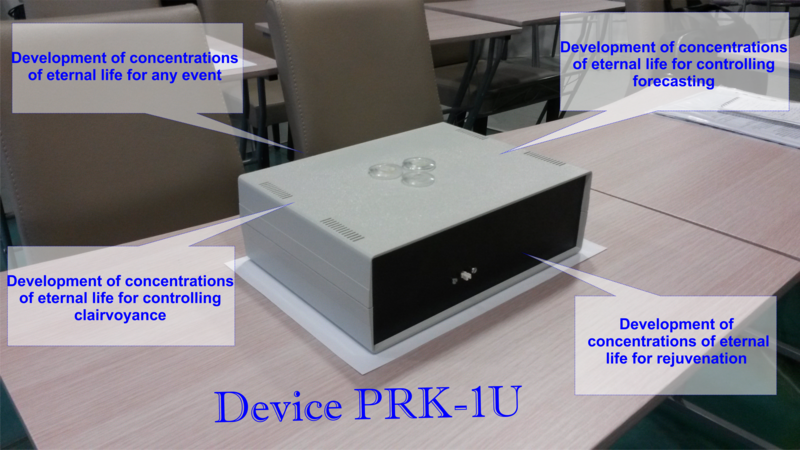 According to the current practice of using PRK-1U, in each case we received proofs of functionality during the testing, that is, it shows that the device is adapted to human Consciousness. And in this regard, the functions of these devices have to implement such a thing as the controllability of the device through controlling clairvoyance, through human consciousness. That is, this is exactly the adaptation of the device to Consciousness that makes it possible to implement complete control over the device what creates the safety of this type of equipment. Man, any living creatures have a certain contacability with the structure of eternal life. In someone, these structures are highly open, then the person is the one living forever; someone is just starting to develop them, it is necessary to help him in this case. The device while working with this matter of eternal life actually makes it visualized. Man through spiritual action, through the action of Consciousness begins to see the contact with this matter, which is generated in the device. According to the practice of use of device PRK-1U various sensations appear at the level of perception: the future systems of events. The fact that the future events occur, and it is possible to normalize them at the same time is natural, because the matter of eternal life contains the structure of the future. And it turns out that a person who sees it, is opening his own, which have already been in him, which have been previously in him, capabilities to realize the matter of eternal life, but with the device he is doing it faster. And when the mechanism of such contact is known, the man will be able not to forget it, because the concentrations of eternal life are eternal. Testing of the device among the group of applicants (who applied for purchase), showed that all who tested have very good results of application of the device from the first time. This means that, the characteristics of the device, such as the consistency in the work of the device, functions. This characteristic was established by Grabovoi G.P. when the device was constructed, because all should be able to live eternally. For purchase of the device it is necessary to send a request to e-mail grigorii.grabovoi.pr@gmail.com for production and delivery of the device for the applicant or for the group of applicants. The device is produced for one applicant or a group of applicants of 8 persons. The price of the device is 9700 euros including VAT and training materials in an electronic form: The Training Program on the Teachings of Grigori Grabovoi. After the receipt of the request, a testing of the device by the applicants is carried out. The testing of the device by the applicants is carried out in the office at the address Kneza Mihaila 21a, TC Milenijum, lok.113, Belgrad, Srbija. It is possible to carry out a distant testing of the device via skype, in accordance with the patent “Information Carrying System”. During the testing, the applicants make sure, that the device develops concentrations. Upon the receipt of testing results sufficient for purchase of the device, the applicants sign the protocol of testing of PRK-1U. Then the agreement for production and delivery of the device is signed with one applicant, if the device is acquired by one person or legal entity (by organization). If the request is submitted by a group of applicants, then the agreement is signed with the representative of the group of applicants, or the director of the organization (Center). The term of production of the device is determined after testing. The payment can be made in the form of 100% prepayment or by equal stakes monthly during the period of the device production.